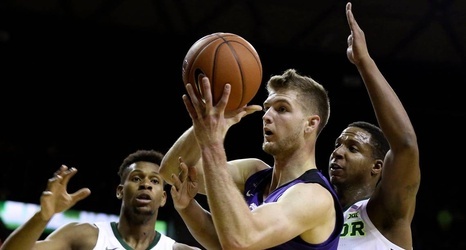 After getting outplayed for much of the game, the Kansas State basketball team flexed its muscles in crunch time against Baylor and pulled away for a 70-63 victory on Saturday at Ferrell Center. It was easily one of the Wildcats’ hardest-fought wins of the season. What seemed like an easy opportunity for the Kansas State Wildcats to pull ahead in the Big 12 basketball race turned out to be anything but simple against the short-handed Bears. Missing starting guards King McClure and Makai Mason did little to hinder Baylor, as the active players on the roster pulled together without them and led by seven midway through second half.